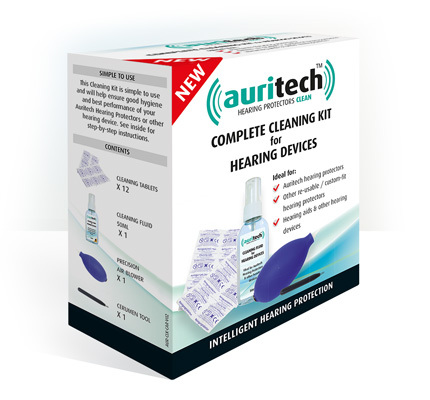 Auritech Hearing Protectors are precision instruments. It is important to maintain good cleanliness and hygiene to ensure optimum performance and crystal clear sound. Regular cleaning will also extend the lifespan of your resuable earplugs. We supply a complete Cleaning Kit or a simple spray to help. 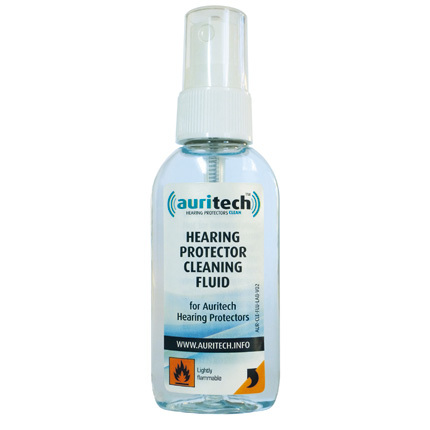 Auritech Cleaning Fluid comes in a handy 50ml spray bottle and is ideal for general cleaning and hygiene of your Hearing Protectors (or other non-electrical hearing devices). Can I use the cleaning kits for products other than my Auritech Ear Plugs? However, you should not use the Cleaning Fluid to clean any electronic part of a hearing device as this may damage the instrument or invalidate the warranty. Clean your ears before use. Regularly clean your earplugs with suitable products. Allow your ear plugs to dry before returning them to their case. Store them in their case to prevent damage. Do not share your ear plugs with other people.